... and perhaps the biggest financial one of your life. If you are thinking about selling your home, read this guide and save yourself tons of time, aggravation and keep a lot more money in your pocket. I’ve endeavored to keep this guide as short as possible, while still conveying a full and detailed breadth of knowledge. 1. In Chapter 1 we will examine the emotional process involved in selling and how to prepare yourself. 2. In Chapters 2-4 we will look at the three most important factors to getting your home SOLD! 3. In Chapters 5-8 we will look at how to hire the right agent, handle showings, work with offers and get your home successfully closed and SOLD! Please provide your name and email to receive your FREE copy. © 2019 Houston Association of Realtors All rights reserved. Information deemed to be reliable but not guaranteed. The data relating to real estate for sale on this website comes in part from the Broker Reciprocity Program. 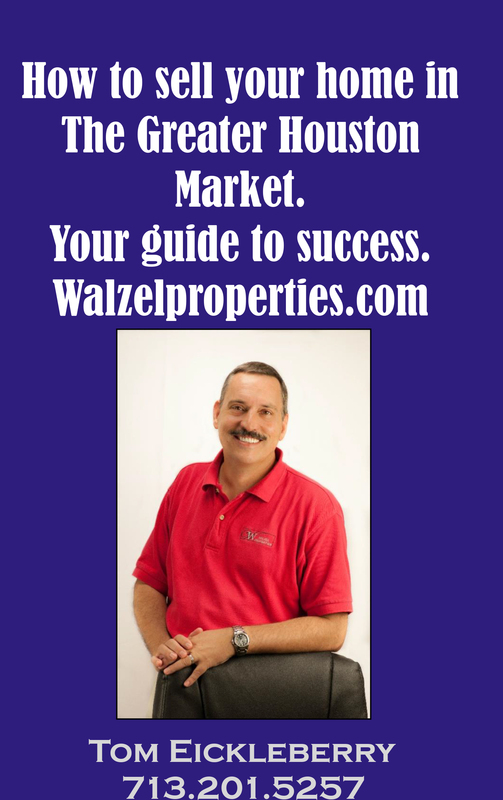 Real estate listings held by brokerage firms other than Walzel Properties are marked with the BR logo and detailed information about them includes the name of the listing brokers. Listing broker has attempted to offer accurate data, but buyers are advised to confirm all items. Information last updated on 2019-04-25.